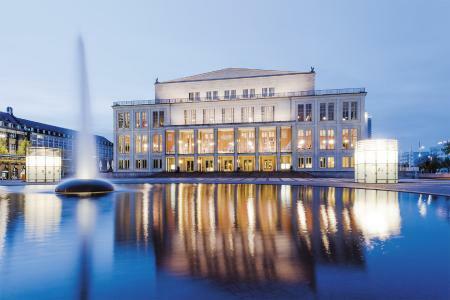 On Thursday, March 14, at 11:00am, the Oper Leipzig presented its upcoming season. The Oper Leipzig’s Intendant and General Music Director, Prof. Ulf Schirmer, presented the 2019/20 season’s highlights together with opera director Franziska Severin, ballet director and principal choreographer Mario Schröder, and Torsten Rose, managing director of the Musikalische Komödie. A total of 17 new productions will take the stage: five operatic premieres, four new works for the Leipzig Ballet, seven premieres for the Musikalische Komödie for their interim season at the Westbad, and one choral project. They join an additional 33 works in the active repertoire. 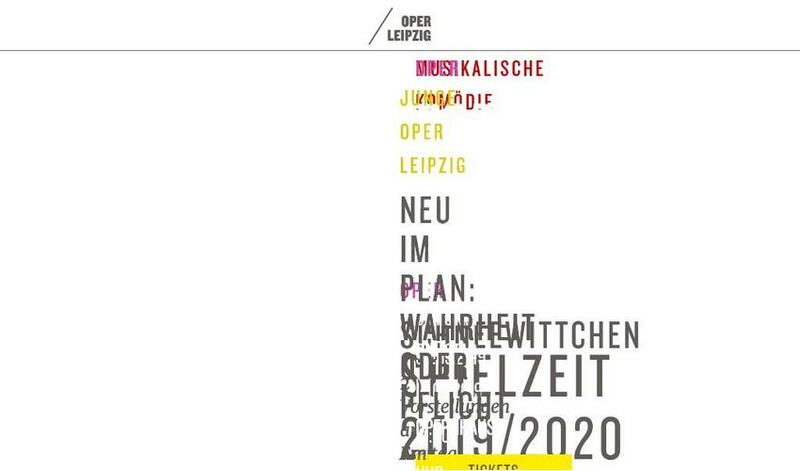 From August 2019 to July 2020, over 400 individual performances will take place for the opera, the Leipzig Ballet, and the Musikalische Komödie. They encompass opera, light opera, operetta, musicals, classic and modern ballet. They also include special events, such as the New Year’s Eve Gala, collaborations with the city’s other cultural institutions like the Kunstkraftwerk Leipzig, the Schauspiel Leipzig, and the independent scene, as well as other smaller-scale productions in and around the city. In addition, the »Jungen Oper Leipzig« has a variety of shows for children, young adults, families, and multi-generational projects. Rounding out the season are house tours, special tours, and guest performances. With the Gewandhaus Orchestra – one of the world’s premiere ensembles – as a musical partner, the Oper Leipzig’s program continues to feature Richard Wagner and Richard Strauss as the central pillars of its repertoire. A new production of Richard Wagner’s Tristan und Isolde will premiere on October 5, 2019, musically directed by Prof. Ulf Schirmer. 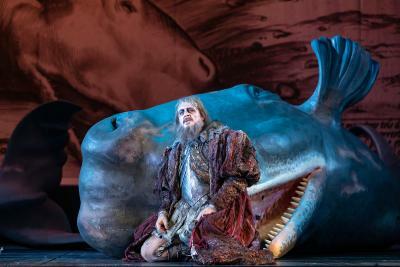 This new production is a further step towards realizing the Oper Leipzig’s goal of having all of this native son of Leipzig’s works in its repertoire – a goal unrealized anywhere else on Earth. Enrico Lübbe, the Intendant of the Schauspiel Leipzig, will stage direct. The curtain will open on Capriccio, by Richard Strauss, on June 2018, 2020, making it the last new production of the season. Stage director Jan Schmidt-Garre returns to Leipzig following the success of his Arabella production, which was praised as especially sensitive. Richard Strauss’ most well-known works come together for a themed weekend, to be held from June 10-12, 2020, which will feature the revivals of Arabella and Die Frau ohne Schatten. Rolando Villazón, himself a beloved Nemorino, will stage direct a new production of Gaetano Donizetti’s L’elisir d’amore. Taking a cue from the old spaghetti Westerns, his production is a humorous romantic comedy, combining equal parts charm and jest with an instinct for the work’s profound message. What leeway does the individual have in the fight against a dictatorial regime? Composer Viktor Ullmann, who was murdered at the Auschwitz concentration Camp in 1944, and his librettist Albert Steffen investigate this question with their opera The Fall of the Antichrist, which will premiere on March 21, 2020. This rarely performed work was originally composed for the Viennese State Opera in 1935, but was never allowed to premiere there. Baláza Kovalik will stage direct. Über.Leben!, or Survival!, ties in thematically with Antichrist: This staged choral project marks the 75th anniversary of the liberation of the Auschwitz-Birkenau concentration camp, and will be held on February 14, 15, & 16, 2020. In cooperation with the Schaubühne Lindenfels, the Chorus of the Oper Leipzig combines music by Poulenc, Shostakovich, Schoenberg, and others, as they explore the daily hopes and horrors of life – and of survival – experienced by the concentration camp prisoner. Chorus Master Thomas Eitler-de Lint conceived of the project, which will be directed for the stage by Patrick Bialdyga. With The Magic Flute, Wolfgang Amadeus Mozart created a universal work for young and old the world over. Its enduring popularity with people of every background is a testament to that. The young Czech director Barbora Horáková will stage direct a new production of the opera with a fresh perspective, which will premiere on May 2, 2020. With the Premiere of Sleeping Beauty on November 20, 2019, the Leipzig Ballet adds an additional ballet by Peter Tchaikovsky to its program. It joins The Nutcracker and Swan Lake, and, with choreography by Jeroen Verbruggen, adds a third artistic signature to the Ballet’s repertoire. The story of the sleeping princess is a familiar one, thanks primarily to the Brothers Grimm fairy tale. In his interpretation, Belgian choreographer Verbruggen puts the 100-year sleep at the center of the story. Inspired by Charles Parrault’s La Belle au bois dormant (The Sleeping Beauty in the Woods), he’s created a coming-of-age drama for the whole family and an opulent production that invokes dreams, shivers, and laughs. Love, grief, parting, and the longing for freedom – these are the themes at the center of this two-part ballet evening by ballet director and principal choreographer Mario Schröder, which will celebrate its premiere on February 8, 2020. Schröder revised his Blühende Landschaft (Blossoming Landscape) which he created for the Pax 2013 ballet production, joining music by Udo Zimmermann and Johann Sebastian Bach. He pairs it here with a newly-developed piece: Henryk Mikolay Górecki’s Third Symphony, also called the Symphony of Sorrowful Songs. The three-part production of Soto / Scholz / Schröder offers an examination of 150 years of music history. The curtain will rise on this new production on June 6, 2020. Choreographer Uwe Scholz made history with his large symphonic ballets, proving himself a congenial catalyst, masterfully combining musical structure and emotional states. Two sensitive artists came together in the Second Symphony: Robert Schumann and Uwe Scholz. Some 100 years later, Aaron Copland’s clarinet concerto premiered, and quickly became one of the most oft-performed works of its kind, and which today forms the musical foundation for Mario Schröder. Cayetano Soto, a much-lauded Catalan choreographer, whose works have been performed by the Stuttgart Ballet and the Ballett Zürich, provides a counterpoint to the evening with Uneven, and brings us to music of the present day. Once again, the Leipzig Ballet will appear in buildings throughout the city. Since 2016, the Leipzig Ballet and the Schauspiel Leipzig have cooperated together, and Triple Bill, premiering on April 8, 2020, is the latest addition to this series. This production follows three wildly successful programs featuring internationally renowned choreographers. This new premiere will feature works by Spaniard Iván Pérez (Flesh), Dutchman choreographer Didy Veldman (See Blue Through), and the French choreographer Martin Harriague (America). 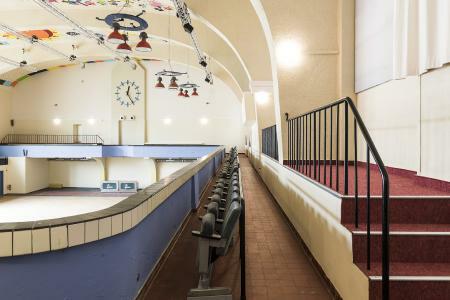 The Haus Dreilinden will undergo extensive renovations during the 2019/20 season. But the Musikalische Komödie’s audience won’t have to go without: The entire ensemble will temporarily relocate to the Westbad in Lindenau. In addition to re-worked productions from the existing repertoire, seven premieres will take the stage at the Westbad. In addition to operetta and musicals, productions for families and special revues have been developed for this interim home. The season kicks of on September 27, 2019 with the Spiel mir eine alte Melodie – Play Me an Old Tune. Cusch Jung, principal director of the Musikalische Komödie, presents a potpourri of beloved hits from the first half of the 20th century, including songs by Peter Kreuder, Mischa Spoliansky, and many others. An equally rousing program is set for MuKo Magic, which will feature Thomas Hermanns, Gayle Tufts, and friends, and premieres on May 15, 2020. They’ll take to the stage with the ensemble of the Musikalische Komödie, as they present a request gala concert full of audience favorites from musicals and operetta. Ballet director Mirko Mahr will present this two-part evening Zorbas / Balkanfeuer in the Westbad, starting on October 12, 2019. He combines Alexis Zorbas’ sensuous free spirit and sirtaki dance with the revival of Balkanfeuer, an absurd Balkan wedding, creating an evening bursting with joie de vivre. With Der Vogelhändler, Carl Zeller created one of the most popular operettas ever. A new production by Rainer Holzapfel, starring audience favorite and the Musikalische Komödie’s Operetta Queen, Lilli Wünscher, the turbulent comedy of mistaken identity, celebrates its premiere on November 1, 2019. The production features a pinch of eroticism and more than a dash of feeling, all set against the backdrop of a traditional country idyll. The curtain rises on April 4, 2020, for the second new production of an operetta: Thomas Schendel stages Die Juxheirat – The Mock Marriage by Franz Lehár. This entertaining operetta is an unknown work by the composer of the Merry Widow and the Land des Lächelns. When it comes to musicals, the Musikalische Komödie is betting on the tried and true. The Kiss of the Spider Woman, born from the successful collaboration of John Kander and Fred Erb, opens on February 1, 2020. Principal director Cusch Jung stages this story about the power of love, humanity, and fantasy. It tells the story of Molina and Valentin, two inmates who share more than just a cell in an Argentinian prison. Melissa Kling will choreograph the show, which features pulsating Latin-American rhythms. As the season winds down, Andrew Lloyd Webber’s rock opera Jesus Christ Superstar will premiere as a semi-staged concert on June 12, 2020. In it, Jesus is a rock star, the Apostles are longhaired hippies, and Mary Magdalene is a prostitute; its premiere in 1970 caused a scandal. Principal director Cusch Jung directs, and ballet director Mirko Mahr choreographs. 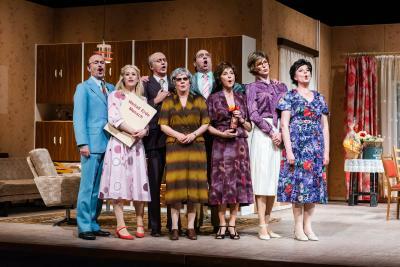 The Musikalische Komödie has also planned a new production for its younger audience members. The Little Mermaid celebrates its premiere on April 10, 2020. Whether Undine, Rusalka, or Ariel, mermaids have historically been all the rage in children’s literature – and the present is no exception. After Peter and the Wolf and Carnival of the Animals, The Little Mermaid, written by Ákos Hoffmann, is one of the most performed orchestral works for children in the German-speaking world. Cusch Jung alternates with Michael Raschle as narrator. Stefan Klingele and Christoph-Johannes Eichhorn musically direct the Orchestra of the Musikalische Komödie.